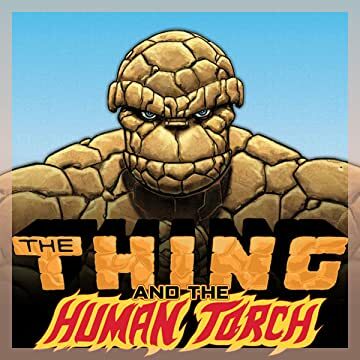 Collects Spider-Man/Human Torch #1-5 and The Thing (2005) #1-8. 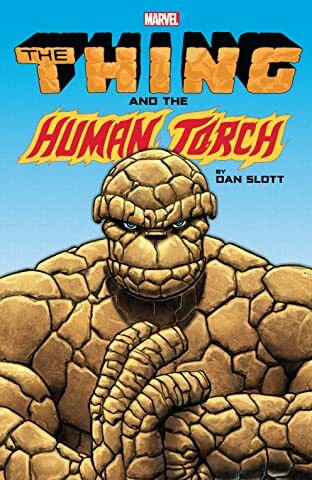 Dan Slott takes on half of the Fantastic Four — and, naturally, the ever-amazing writer brings Spider-Man along for the ride! First, the Human Torch and Spidey's unique friendship is explored across five adventures in different eras. From high school to adulthood, from the Coffee Bean to the Negative Zone, from Dorrie Evans to Mary Jane Watson, it's the ultimate team-up of flamebrain and web-head! Then, the ever-lovin' blue-eyed Thing takes the spotlight! The idol of millions is now worth billions, and he's enjoying his newfound riches — not to mention the odd game of poker — with pals including the FF, Goliath, Hercules, Lockjaw and, yes, Spider-Man! But fear not — bashful Benjy has reserved some clobberin' for foes like Arcade, Shockjock and classic sparring partners Trapster and Sandman!